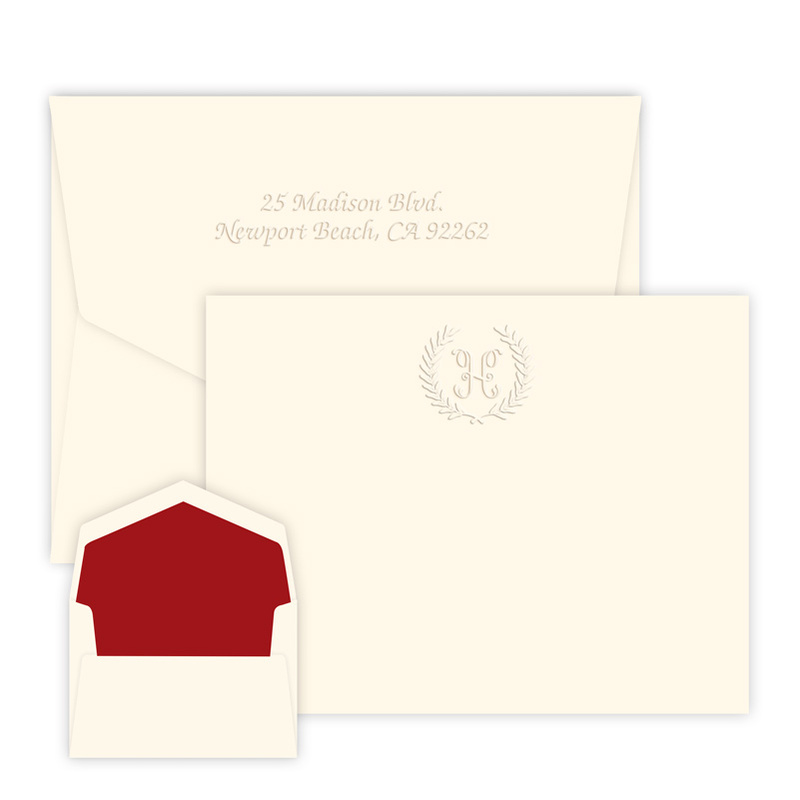 A deeply embossed wreath surrounds your initial on our Harvest Card. 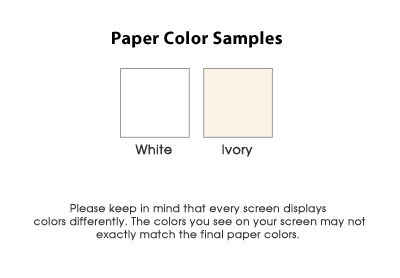 Single panel card. 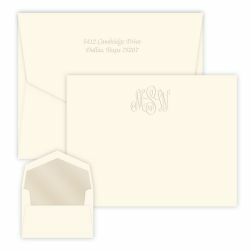 Triple-thick paper in your choice of white or ivory. 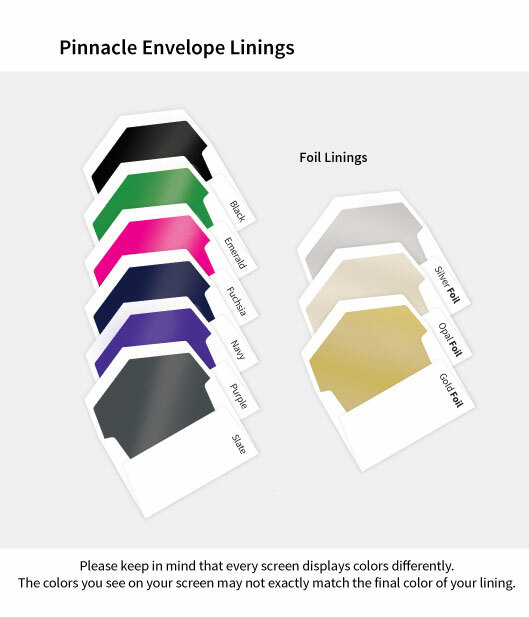 Includes 25 Pinnacle envelopes. 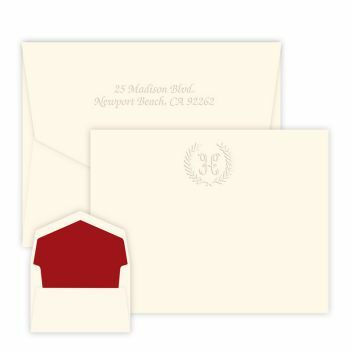 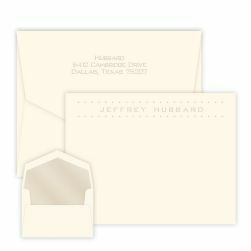 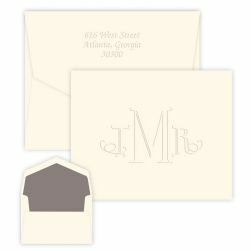 Options include envelope lining, border, 100% cotton paper or return address.